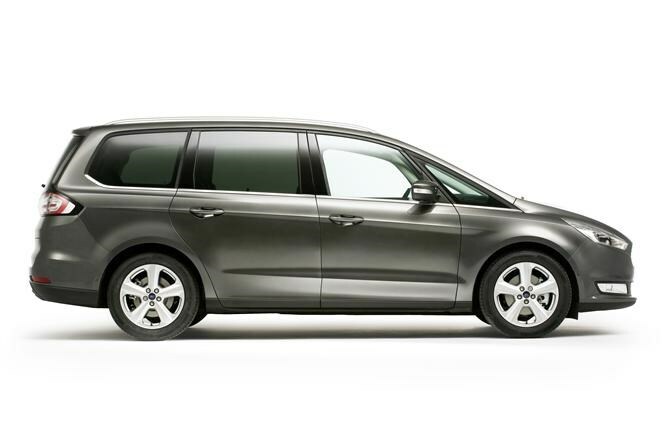 Ford has released prices and specifications for its new Galaxy people carrier. The range starts at £26,445 for a 1.5-litre petrol powered Zetec, and tops out at £36,760 for a 2.0-litre Titanium X diesel with all-wheel drive. 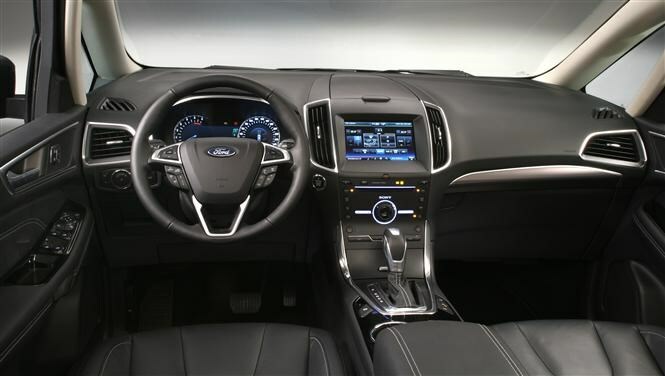 All cars come with an eight-inch screen and SYNC 2 for Bluetooth connectivity and voice control, plus Ford’s Easy Fuel system which claims to prevent misfueling mishaps. The entry to the Galaxy range is Zetec trim. 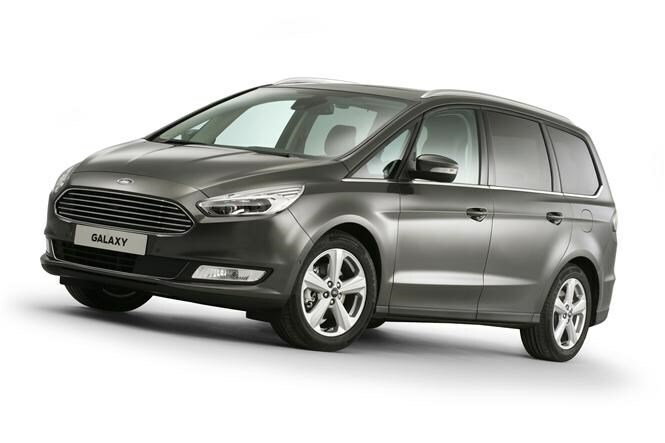 Priced from £26,445, it comes with 17-inch alloys, front and rear parking sensors, powered folding mirrors, dual zone air conditioning and an electronic handbrake. This grade doesn’t include a sat nav system, but you can add one for £300, or upgrade to Titanium trim which does and starts at £28,595. You also get tinted rear windows, LED daytime running lights, rain-sensing windscreen wipers, keyless entry, lane keeping assistant, traffic sign recognition, cruise control with active speed limiter and exterior chrome trim. While the entry level engine for both Zetec and Titanium trims is the 158bhp, 1.5-litre petrol, top spec Titanium X starts at £33,095 and comes with a 148bhp 2.0-litre diesel. Although it is less powerful, it has more torque, with 350Nm instead of 240Nm, and promises 56.5mpg as opposed to the petrol’s 43.5mpg. This grade comes with a sunroof, leather seats with powered adjustment and heating for the front two, a powered tailgate, rear view camera, and automatic parking system. Those looking for the rear seats that fold with a push of a button need to choose a Titanium or Titanium X trim then tick the £375 Titanium Family Pack. 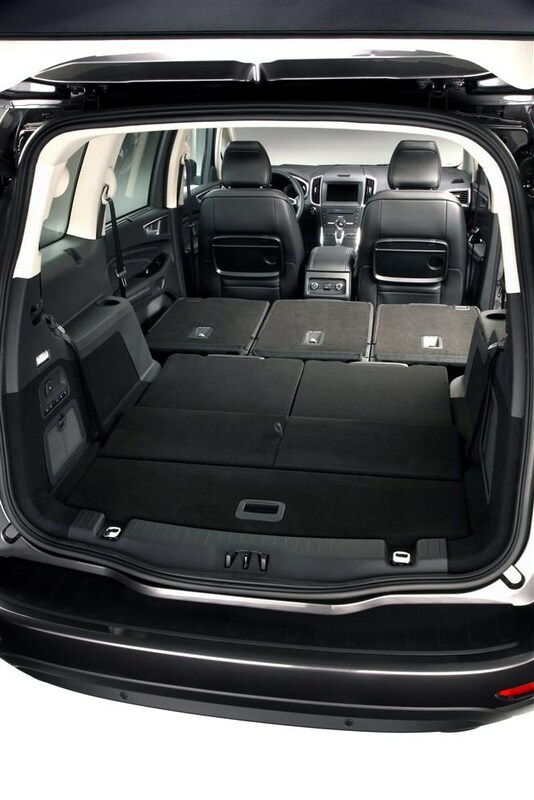 That secures the powered-folding rear seats as well as cargo net and reversible, foldable load mat. There are two petrol engines and a diesel unit that has four different power outputs. Gearboxes come in the form of a six-speed manual and six-speed dual clutch auto with two and four-wheel drive, or a six-speed regular automatic. Those in search of a frugal Galaxy are spoilt for choice, with the manual gearbox equipped 2.0-litre diesel engine claiming a combined 56.5mpg whether in 118bhp, 148bhp or 178bhp tune. Unsurprisingly the 2.0-litre petrol engine with 238bhp is the fastest from 0-62mph, taking 8.6 seconds, with a claimed fuel economy of 35.8mpg. The most powerful diesel engine, the 207bhp 2.0-litre bi-turbo, also offers the most torque with 450Nm. It has an automatic six-speed box and goes from 0-62mph in 8.9 seconds, yet promises 51.4mpg, and sounds like a reaasonable balance of pace and economy, plus could prove an ideal tow car. Highlights on the options list include 18-inch alloys (£400) LED headlights (£1,000) detachable tow bar (£750) and second row sunblinds (£125). All cars come in Blazer Blue paint as standard, with flat white costing £250. Metallic paint in six different shades costs £545, while special Ruby Red costs £795. The all-wheel drive system can send 100 percent of the engine's power to the front or rear axle to maintain grip and is always on, ready to react to slippery situations. 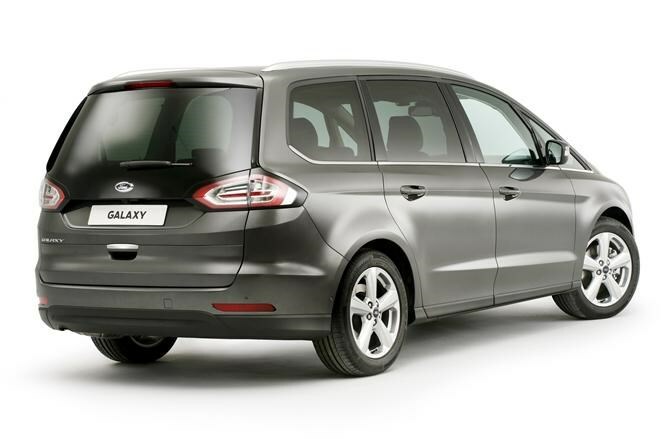 You can have an AWD Galaxy with a 2.0-litre diesel engine, with either 148bhp and a manual gearbox in Titanium trim for £31,545, or an auto box and 178bhp in Titanium X trim for £36,760. These models are about 4mpg less efficient than their two-wheel drive equivalents. We think the 2.0-litre diesel in 148bhp tune and Titanium trim is a real sweet spot, offering plenty of kit, best running costs and value for money for £29,995.